Josh Martinez and Paul Abrahamian will race around the world for $1 million on The Amazing Race's upcoming 31st season, TMZ reported. Josh and Paul, who both competed on Big Brother's nineteenth season, will allegedly compete as a team. On Season 19 of Big Brother, Josh won the $500,000 grand prize, and Paul finished as the runner-up. It was Paul's second time finishing as the runner-up. He also fell short of the big money on Big Brother's eighteenth edition. Josh and Paul had an interesting dynamic when they lived together in the chaotic Big Brother house. 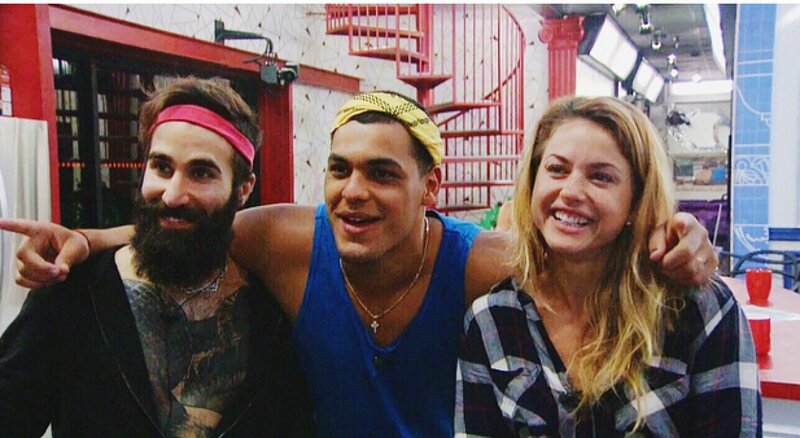 Josh and Paul were close allies for most of the season, but they ended up becoming rivals. Paul thought he could use Josh as his puppet, but Josh smartened up towards the end of the game and shaped an impressive resume that ultimately won over the jury, which was bitter about Paul's ruthless gameplay. The Amazing Race will feature a mix of former Big Brother houseguests and Survivor castaways, according to Us Weekly. Filming for the new season reportedly begins soon in New Guinea. The magazine previously reported the following Big Brother veterans may compete on The Race: Dan Gheesling, Jessie Godderz, Janelle Pierzina, Britney Haynes, Frank Eudy, Ian Terry, Elissa Slater, Nicole Franzel, Victor Arroyo, Da.Vonne Rogers, Bridgette Dunning, Caleb Reynolds, Rachel Reilly, Corey Brooks, and James Huling. Caleb is also known for his stints on Survivor: Kaoh Rong in 2016 and Survivor: Game Changers last year. The other Survivor castaway who may appear on The Amazing Race next season, according to Us, is Caleb's pal Tai Trang from the same two Survivor editions. More former castaways are also reportedly likely to join the cast of Racers. The Amazing Race's milestone 30th season was won by BB19 couple Jessica Graf and Cody Nickson, who are now engaged to be married.